1. 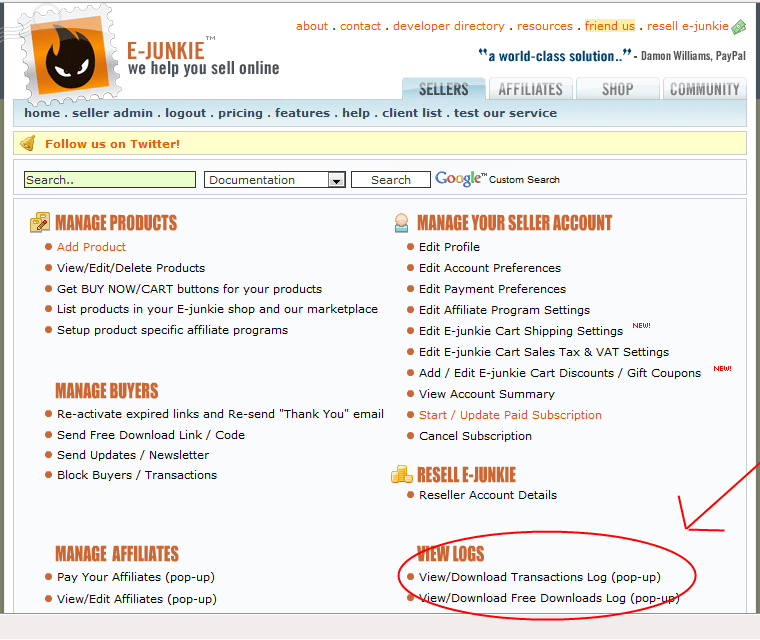 Log in to e-junkie. 2. Click on “View/Download Transactions Log”. 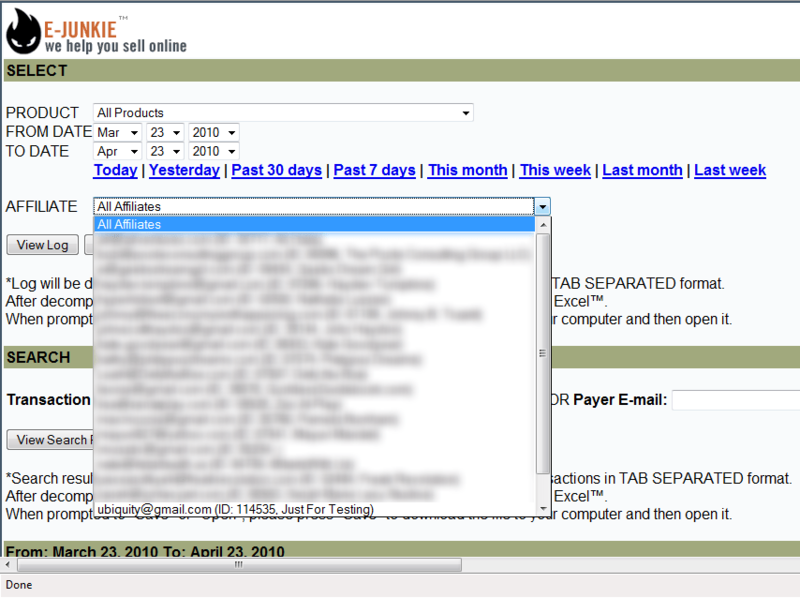 In the AFFILIATE drop-down box, there’s what you want — your affiliates’ IDs! but all filled out with all your affiliates and their IDs. 4. 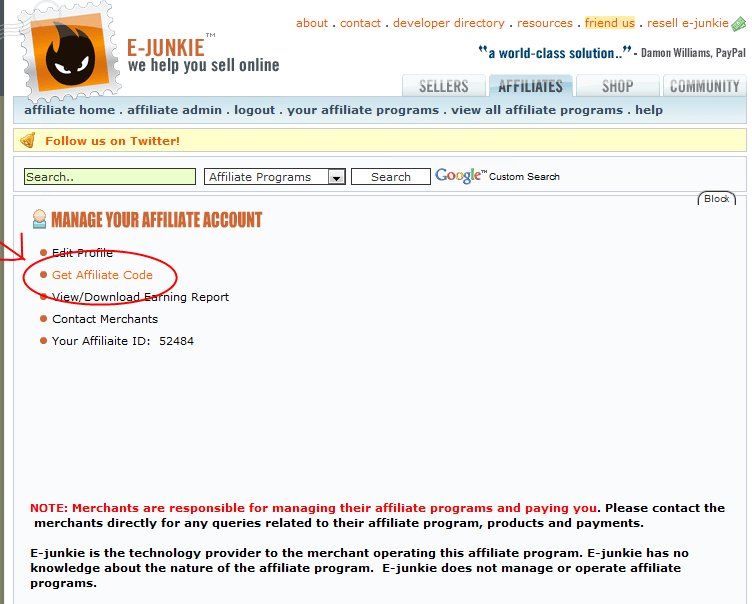 Go back to e-junkie, go to Affiliate Admin, and click on Get Affiliate Code. Since this is your affiliate link for your own business, XXXXX and YYYYY will be the same. When you construct affiliate links for your affiliates, you’ll change the YYYYY but keep the XXXXX the same. There you go! 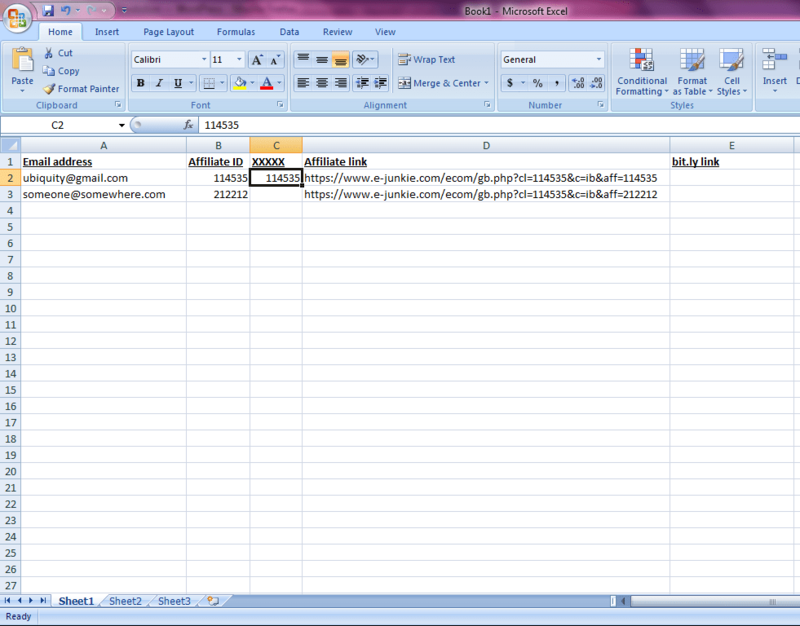 Now you have a spreadsheet containing the affiliate links for all your affiliates. 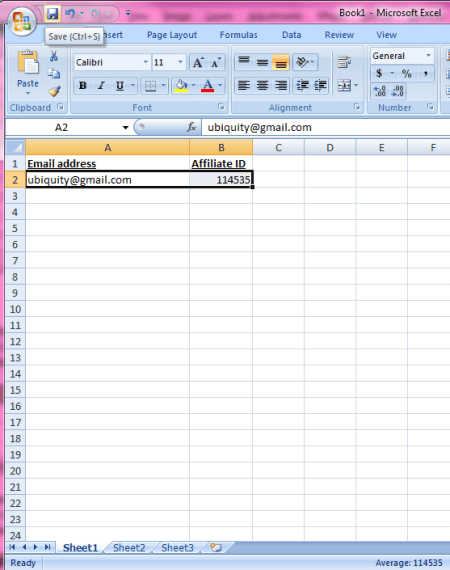 Manually enter each affiliate link into bit.ly to shrink it, and paste the result into the spreadsheet. Add some fields to the mailing list for your affiliates, import this spreadsheet, and then you can send emails to all your affiliates that say “Your affiliate link is: *|AFFLINK|*” and it will automatically do the right thing. It’s wonderful, and totally worth the effort.